Our IT Department Wins Best Small to Medium Sized Business Award. 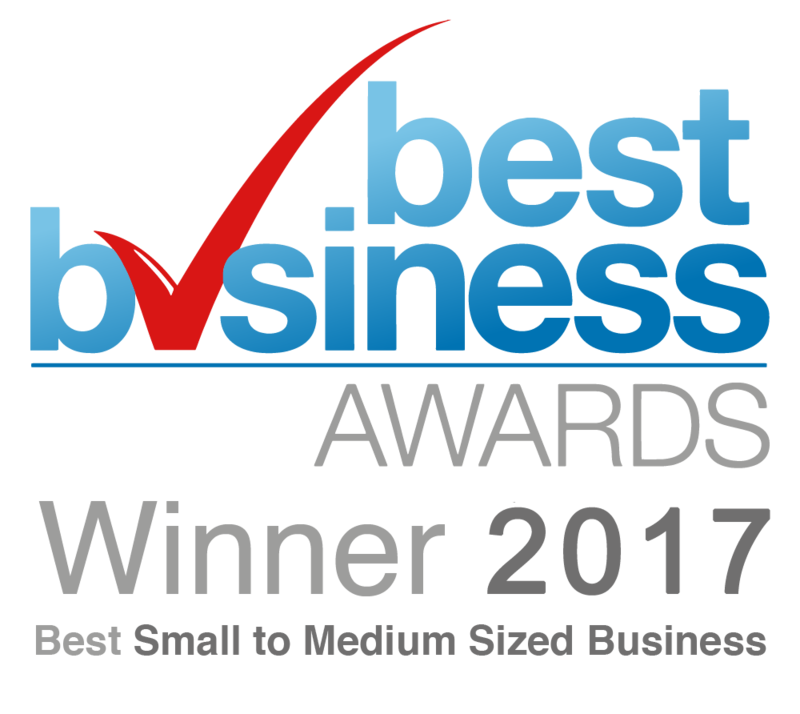 WE’VE WON THE 2017 BEST SMALL TO MEDIUM SIZED BUSINESS AWARD! WE’RE DELIGHTED TO ANNOUNCE THAT OUR IT DEPARTMENT LTD. HAS BEEN NAMED WINNER OF THE BEST SMALL TO MEDIUM SIZED BUSINESS CATEGORY AT THE 2017 BEST BUSINESS AWARDS. Commenting on the award to Our IT Department. The Chairman of the Judges said: “With computers taking over the world, Our IT Department is playing a vital role in keeping businesses across the UK up and running. Demand for IT support and advice about computers from business is so strong that since launching, the company has experienced supersonic growth. 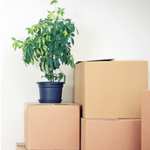 It now operates from four offices around the UK and has a staff of 65 people from four at start up. It’s a proud moment for us. We’re incredibly proud to be recognised as one of the UK’s Best Small to Medium Sized Businesses. Without question, the foundations of our success are built on continuously improving our customer care standards, but this simply wouldn’t be possible without having the right team of staff that have a strong work ethic and the right attitude. We’re absolutely delighted that their hard work and efforts have been recognised by winning this award for the very first time. HERE’S SOME INFORMATION ABOUT THE BEST BUSINESS AWARDS. One of the UK’s highest profile awards. Due to its high profile, the UK Best Business Awards attract a wide range of entries from across all sectors from large international PLCs and public sector organisations to dynamic and innovative SMEs. The winners all have one thing in common – they are truly excellent at what they do and Our IT Department Ltd have proved this by being named as the Best Small to Medium sized business. The BBAs pride themselves on having a large panel of over 20 independent expert judges who select winners according to strict criteria for each category and sector. AND HERE’S A BIT ABOUT US. We’re one of London’s original IT services organisations. Our IT Department provides a comprehensive range of Fully Managed IT support services and cutting-edge technology solutions to over 400 organisations across London and the east of England. In a short space of time, we’ve grown into an award winning IT services organisation that currently employs sixty five full-time members of staff – working from our UK-based offices in London, the Essex border, Cambridgeshire and Newcastle. Last year, we achieved an organic growth of 34.6% thanks to the expansion of our existing client base and new product development, in addition to the continued investment in our internal sales and marketing departments. Today, over 400 organisations across London and the East of England trust Our IT Department to support, maintain and continuously improve their ongoing IT investment. We’re proud to support local good causes. Each year we donate 10% of our profits in good, money or services to community groups and charities both local and national. 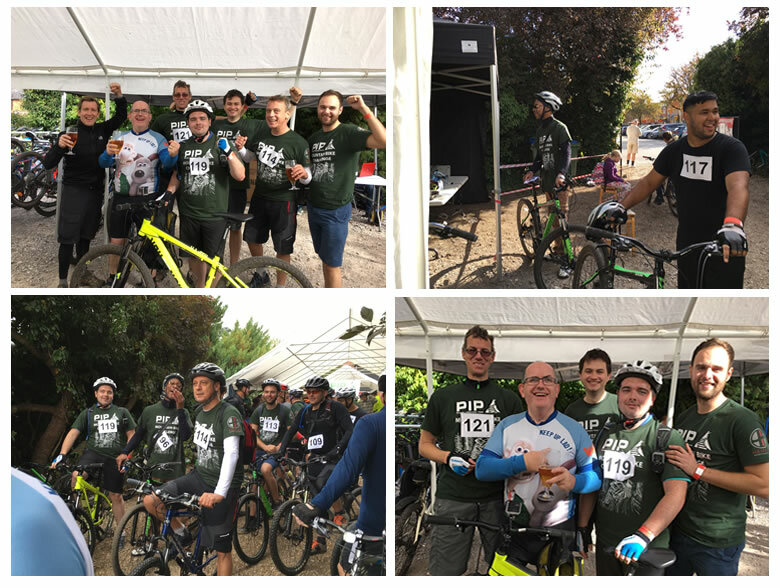 Every year, we take part in the PIP Mountain Bike Challenge, an annual fund raising event for the registered charity PIP (Pursuing Independent Paths). In 2016, Team Our IT Department ‘AKA the dirty dozen’ raised over £2500.00 for the charity PIP by completing the Challenge and we’re delighted to say that all of our 12 team members completed the grueling 22 mile course. Click here to visit our Community and Charity page. WE’RE HIGHLY ACCREDITED BY THE WAY. In addition to this award, Our IT Department retains the following below accreditations that demonstrate our technical knowledge, our commitment to information security and our dedication to continuously improving our customer service. Our IT Department is only six UK-based IT Services organisations to be both ISO 9001:2015 and ISO 27001:2013 accredited. You can visit our accreditations web page to find out more. WE’RE AN IT SUPPORT COMPANY THAT ADDS VALUE TO YOUR BUSINESS. If you’re fed up with your existing IT Support company and you’re thinking about changing providers then we’d love the opportunity to work with you. We’ll add value to your business by providing fast effective support, expert advisory services and cutting-edge technology solutions that will increase your productivity and keep you ahead of the competition. If you’ve already started to look for an alternative IT services provider then you’ll find the below IT support services checklist to be a very useful resource. 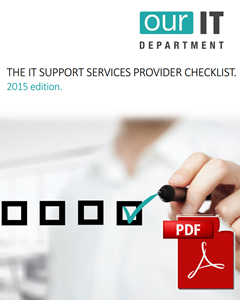 Click here to download our FREE IT support services provider checklist (no registration required). GET A BETTER IT SUPPORT SERVICE TODAY. Complete the form below to request a no-obligation quotation for IT support, or speak directly to a member of our Business Development Team today by calling 020 850 7676.